All pledges will be collected automatically until 08/07/2016. Faircoin, much more than money. Fund the pending Faircoin 2 development. FairCoin 2 will be an important blockchain-based innovation to allow the Faircoin blockchain to function, secured with ‘proof of cooperation’, and bring to the world a really functional alternative to the current unfair systems that are based on competition between nodes: ‘proof of work’ and ‘proof of stake’. Faircoin Stability. Stability of the currency is vital in order to make Faircoin use resilent in any situation. In particular FairCoop needs to sustain reserves in order to give more confidence and flexibility to merchants, producers, consumers who are becoming Faircoin users. Currently to facilitate that resilence it is necessary that more people who are in accord with the FairCoop values join and invest, thus making a better distribution of the Faircoins in circulation. No more unfair money creation. Faircoin 2, will stop creating new coins. Certified nodes will not need to create new coins in order to give security to transactions. Instead, Faircoin 2 will help to create the conditions for existing coins to be redistributed to amazing social projects worldwide, thanks to funds like Global South Fund, Commons Fund, Technological Infrastructure Fund and Refugees Fund. Instant confirmations. Technically Faircoin 2 will bring us important innovations for making Faircoin an important tool for online and physical payments; one of these will be instant confirmations, which will bring security to real time exchange relations in multiple situations. Micropayments. The high efficiency level of the Faircoin 2 network, trusted node relations, low energy cost and consequently low fees, will make Faircoin the best currency for micropayments which are very important for many needs like the gift economy and use in poor countries. Faircoin 2 is already under active development. Up to now it’s been possible with some personal investments and a lot of willingness. But right now, we need to open it up to our support network in order to be able to make it to the launch date which is scheduled very soon; between June and July. The aim is to bring liquidity and stability to the open Faircoin markets and make it easier for investors, merchants and users to get in and out of Faircoin. Provide funding for the development of the FairCoop ecosystem in a way that gives investors ample possibilities to recover and eventually profit from their investment in the project. At least 20,000 euros for development costs and reserves to cover producers + merchants’ needs to cashout. Maximum 20,000 euros buys in the Bittrex exchange, contributing to put the Faircoin distribution more and more into the hands of FairCoop supporters, and recovering the spread between prices which affects Faircoin stability. 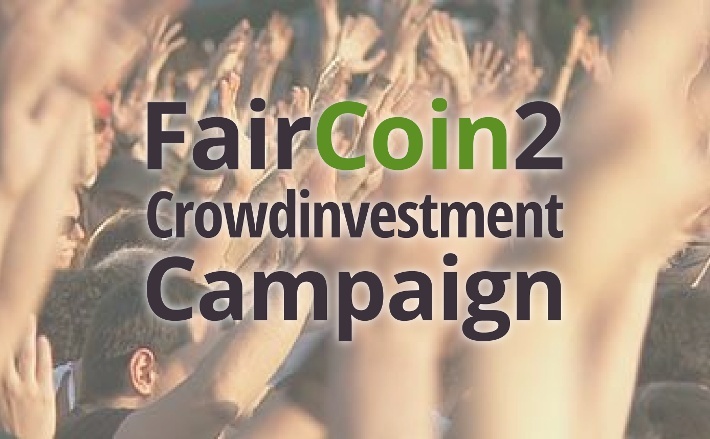 Then, for this campaign only, you will be able to support the FairCoop ecosystem by getting Faircoin at half of the official price in getfaircoin.net. Time Lock the transaction in your wallet for 6 months. i.e. : Someone invests 1,000 euros and receives 40,000 Faircoins to his/her wallet. 20,000 in a normal transaction and 20,000 in a transaction timelocked for 6 months. With this money FairCoop will invest 500 euros of that payment to make buys in Bittrex, meanwhile the other 500 is added to the reserves of FairCoop liquidity for Faircoin 2 expenses and other cashout needs. FairCoop reserves the right to use more than 50% of the crowdinvestment if is needed as reserves. 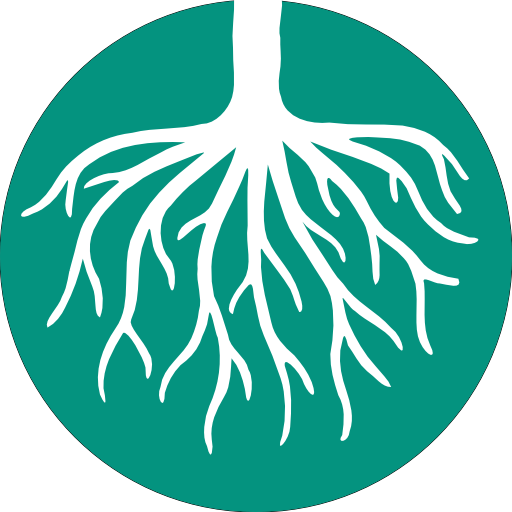 Access to investments and different ways of funding is probably the biggest problem that social cooperatives, peer-to-peer production projects and other for-the-common-good projects have generally faced. The legal difficulties of investing in a coop if you are not a member, the scarcity of tools existing to do it, or the perception of most investors that a coop or a social enterprise is not a good way to make money are some of the difficulties that coop entrepreneurs have against them. The lack of investments in the solidarity economy is one of the reasons why corporations dominate the global economy, although every day more people are turning to cooperative ways of organising. FairCoop, as an open global cooperative focused on the use of P2P money with the intention of building a new economic system, aims to create a functional way of investing in innovative coops and not-for-profit enterprises that are aiming to change the world. Faircoin aims to be an important monetary and funding tool in that way, but needs to strengthen the critical mass of early adopters and early investors in order to be consolidated as a useful currency. With this crowdinvestment campaign FairCoop opens the possibility to anyone supporting this vision to join and be part of a growing number of Faircoin holders who are making this new economic ecosystem a reality, one which we all deserve. Faircoin means fairness. Faircoin means social cooperation. Faircoin means technology based on human needs. Faircoin means social justice, social ecology, economic democracy, human consensus. Faircoin means much more than money, and that’s why we ask you to join!